You’ve located the perfect color from a Munsell Book of Color and now you’re ready to share it with your suppliers and partners. And whether you order one color sheet or 10—today, tomorrow or next year—you can rely on Munsell color sheets to communicate color consistently throughout your supply chain. So let’s say you’re an industrial design firm or brand owner. You’re ready to have your latest product manufactured. How will you ensure that product components coming from Supplier A will match product components coming from Supplier B? And further downstream, when you or a contract manufacturer assembles the finished product, how will you ensure that it accurately represents the color you selected? That’s where Munsell color sheets facilitate color control. Provide a Munsell color sheet for each supplier and see how easy it is to speed and improve color communication and accuracy throughout your supply network. Plus, Munsell color sheets ensure color control whether your suppliers are matching color using visual or instrumental color control. 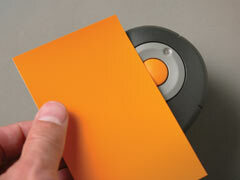 Handy color sheets give you added flexibility for matching or specifying color, in glossy or matte finishes. Use the color sheets in their 8.5 x 11 or A4 format or create your own color cards from each sheet. All Munsell color sheets and color communication products are produced to exacting triple A rated Munsell standard tolerances that are unmatched in the industry. That means from lot to lot, color variation is indiscernible. So a color sheet purchased today and kept in a protected environment, will match a color sheet purchased next week or next year. Color sheets are ideal for brand managers, designers and manufacturers who rely on accurate color communication to help suppliers and partners control color more efficiently and cost effectively. Many companies use a color sheet as their color reference and then order additional sheets. The additional color sheets are cut into color cards and used as disposable working color standards in a quality control or color matching function. Given their daily wear and tear, Munsell color sheets are easily replaced. And the good news is you don’t compromise productivity or quality. Munsell color sheets are readily available and the color identical from batch-to-batch. Here’s how color sheets improve color communication in a real-world example. Let’s say you’re a pharmaceutical company whose brand color standard applies to both the product and its package. With the accuracy of Munsell color sheets, you can establish a color standard using one sheet as a reference. This color sheet remains protected from heat and light for archival purposes. Then, additional sheets of the same color are provided as working standards to the coatings formulator, the pharma company’s Quality Assurance department and also the printer/packaging supplier—all supply partners are working from the exact color standard eliminating color sample-related color variation. More importantly, the color communication process is streamlined and the final product and package represent the right brand color. Contact Munsell to learn how Munsell color sheets give you added flexibility to communicate and match color.